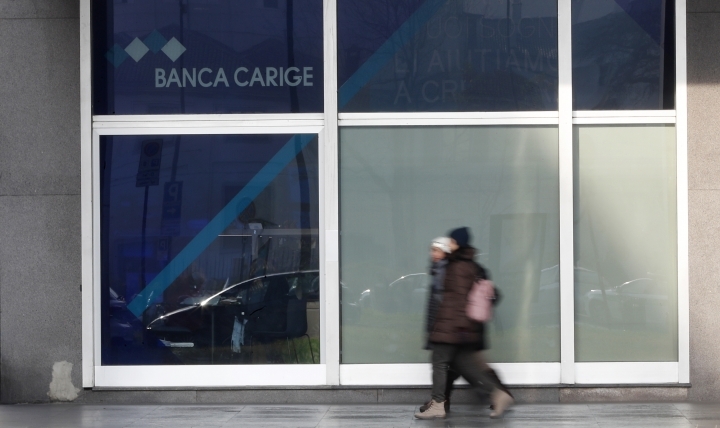 ROME — Italy's populist government has stepped in to help guarantee struggling Banca Carige SpA, bending to pressure to help the Italian bank despite the ruling 5-Star Movement's longtime anti-bank bailout rhetoric. The government passed a decree late Monday that guarantees future bond issues and foresees the possibility of a precautionary public recapitalization. Premier Giuseppe Conte said the measures were aimed at protecting the "rights and interests" of ordinary Carige account-holders. His deputy, 5-Star leader Luigi Di Maio, insisted that "we haven't given a single euro to the banks" and that if public money were eventually used in a rescue, the bank would be nationalized. The European Central Bank last week appointed three commissioners to run Italy's 10th largest lender as part of a plan to avoid another Italian bank bailout. Opposition Democrat leaders applauded the measures but denounced the 5-Stars for apparent hypocrisy, since the anti-establishment movement has long denounced bank bailouts and other bank initiatives of previous Italian governments. Former Premier Matteo Renzi said "it took just 10 minutes in a late-night Cabinet meeting to disprove five years of lies and insults against us." He said Di Maio — who as a lawmaker led the 5-Star charge against bank bailouts by the Democrats — should be "ashamed" while other Democratic lawmakers demanded an apology from the 5-Stars. Six small, regional Italian banks have had to be rescued in recent years, with ordinary savers losing billions of euros. Carige, which is based in the port city of Genoa, failed to win shareholder support to raise 400 million euros ($457 million) last month as part of a plan to steady the bank. The bank, with some 5,000 employees and counting 1 million customers at its peak, launched a cleanup plan in March 2017 after posting losses for four straight quarters. But within months it found itself on the verge of bankruptcy. It was saved by a capital increase of 560 million euros. In a statement after the decree passed Monday night, Di Maio, the labor and economic development minister, said the government would always back account-holders. 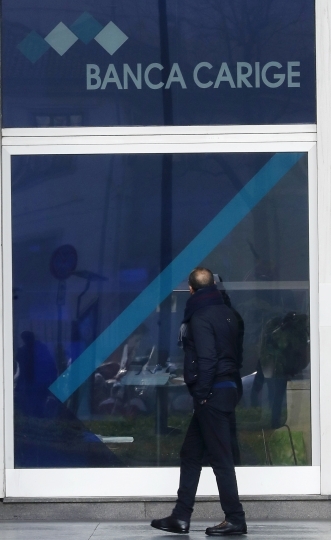 "Italian banks are paying the price of a system of vigilance of the European Central Bank that must have stronger tools of control and intervention," he said. He stressed that the government intervention wasn't a gift to banks and differed from previous bank rescues.